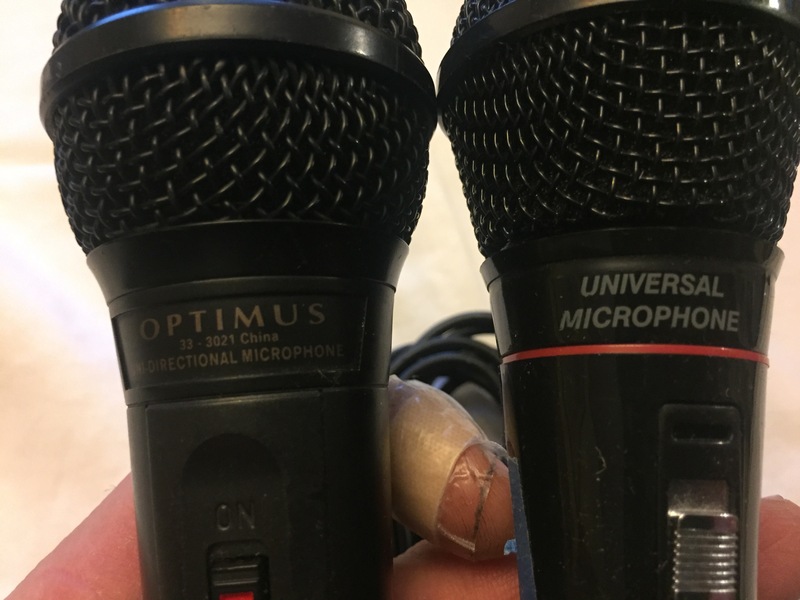 Cheap mics (non-pro mics) that have 1/4" cable built in. 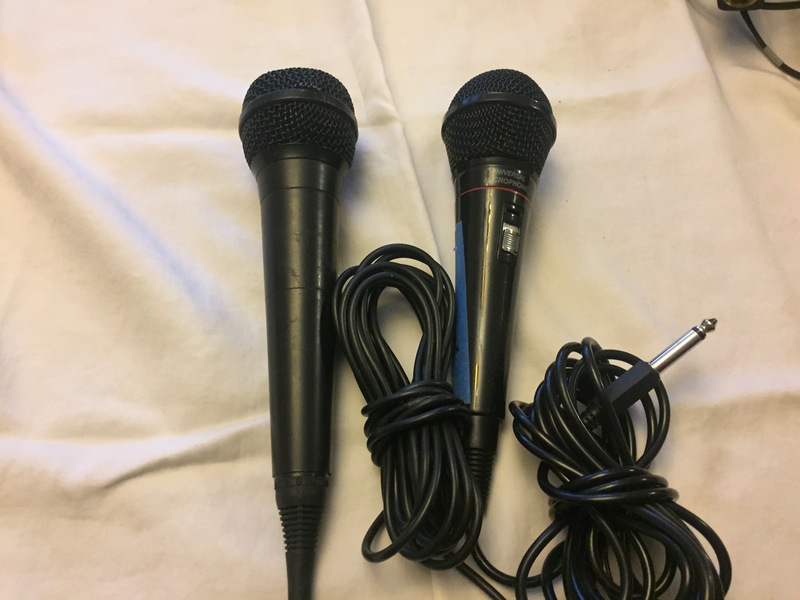 Perfect for giving to the drunk guy or your kids to practice singing! Seriously though they don't sound bad and work perfect. Just picked up as part of a lot and I have plenty like this already for my kids! If you take something else over $25 I will give them both to you for $5. Casing is plastic.